Horoscope reading has lots of advantages for telling people what follow them frequently. It not only gives an insight into potential circumstances but also delivers the typical characteristics in mind. Horoscope has a mysterious level of accuracy for predicting day to day probabilities. It can also give people the chance to identify themselves with their Zodiac Sign personality type. Speaking about Horoscope, its predictions are subtle references to the ordinary traits associated with each sign. What to know about Horoscope? It was the ancient Greek people who are thought to start the idea of human beings’ destiny has already been determined at birth. Greek scholars believed that an individual’s fate was influenced by planetary positions. 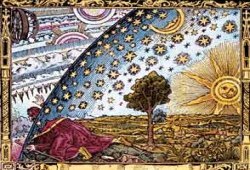 These ideologies were the root of Astrology as we know today. Throughout history, there is a considerable number of citations about the relationship between planetary movement and terrestrial occurrences. 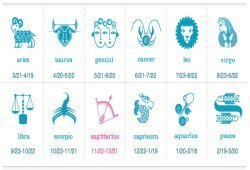 The contents of horoscopes are generated from a mixture of myths, planet motion, and familiarly recognized human characteristics. Therefore, they are a good combination of Astronomy and Philosophy. Horoscopes can help people do things like show patience, set goals, seek opportunities, overcome challenges, as well as a crowd of other things. Many people find Horoscope useful to help them understand their usual behaviors and everybody close to them. When you browse through Horoscope content, you should spot little remarks and descriptions intertwined within its words about your personality. These frequent mentions are good at reminding us how we appear to people around us. Fire signs (Aries, Leo, and Sagittarius) will learn how self-motivated they are. Earth signs (Taurus, Virgo, and Capricorn) will discover the strengths of practicality. 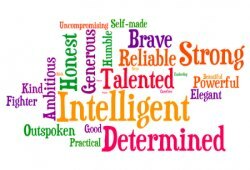 Air signs (Gemini, Libra, and Aquarius) will figure out the scope of their intelligence. Water signs (Cancer, Scorpio, and Pisces) will obtain better control of sensitivity. Understanding yourself is one of the most important lessons that you can learn in life because it allows you to develop at a steady rate. You can see your usual approach to the world by keeping an eye on your daily horoscope. It helps you understand the things you are doing and then perform unconsciously. It makes you stop and think for a while about certain kinds of behaviors and if they are advantageous or appropriate. 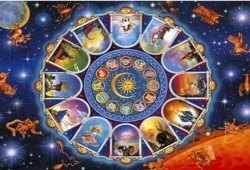 The Horoscope is so important that everybody should know about Horoscope to get a better life. Once they are totally aware of their own personalities and other people, they will be more successful and actively control their life.